Premed club founder/president Megan Law (in red) leads a medical drama trivia night on campus in JVH Auditorium. Off to a busy start, Point Park University's new premedical club hosted a medical drama trivia night Nov. 9 and is currently holding a Thanksgiving food drive on campus for the Greater Pittsburgh Community Food Bank. At the club's medical drama trivia night, students from a variety of majors across the University competed on teams to see who could answer the most questions about popular TV shows such as Grey's Anatomy, Chicago Med, House and more. Megan Law, a senior premedical and preprofessional studies major from Cairo High School in Cairo, Ga., decided to start a premed club at Point Park to broaden her horizons, create new opportunities for professional growth and help others. "Being able to help others is what drew me to medicine to begin with. I find joy in helping others," said Law, who is also minoring in chemistry and dance. "The teaching style of Point Park's faculty is very hands on and interactive with students. This is very important to me, and it's how I learn best. I also like that Point Park embraces individuality," she added. Law's career goal is to become a neurologist for a major hospital. She's also interested in working in sports medicine and for the humanitarian organization, Doctors Without Borders. 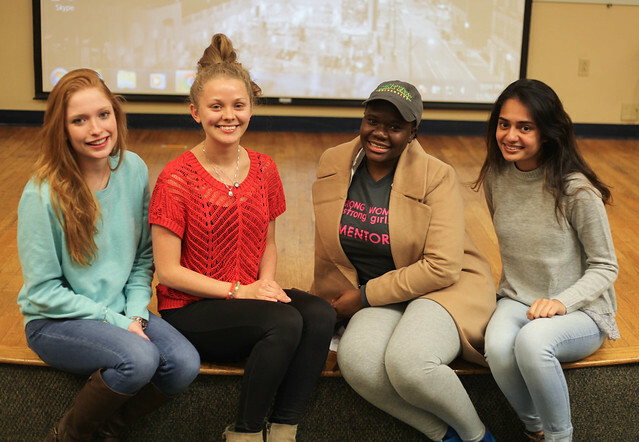 Upcoming events for Point Park's premedical club include a Secret Santa party, a charity ball in collaboration with Chipotle and a trip to the American Student Medical Association's 2017 Annual Convention and Exposition Feb. 23-26 in Washington, D.C. Learn more about the premed program in the Department of Natural Sciences, Engineering and Technology at Point Park University.